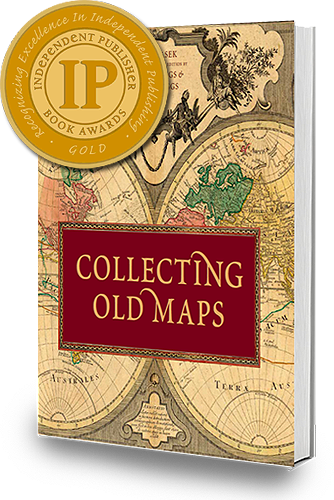 Collecting Old Maps was named gold medalist in the Reference Book category of the 2016 Independent Publisher Book Awards. The Independent Publisher Book Awards honor the year's best independently published books at the annual BookExpo America, the largest publishing event in North America. Open exclusively to independent, university, and self-published titles, the "IPPYs" are awarded in 80 national, 22 regional, and ten e-book categories. This year’s contest drew nearly 5,000 entries, with winning medalists throughout the United States, Canada and nine countries overseas. 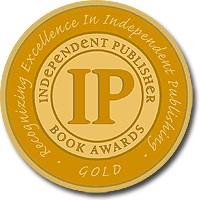 Learn more about the “IPPY” and see a list of all winning books at http://www.independentpublisher.com. This is the book for a new generation of map collectors. While maintaining the original approach to the nuts and bolts of collecting, the expanded and revised edition is full of new information on collecting in the digital age, building and disposing of a collection, papermaking history, and the mythological figures, symbols and allegory used in cartography. It provides clear, practical answers to many of the questions collectors face and is beautifully illustrated with maps that can be collected in today’s market. Whether you are a neophyte or a veteran collector, or just love maps, this book belongs in your library. It is also a gorgeous book that will be equally at home on your coffee table. The Independent Publisher Book Awards honor the year’s best independently published books at the annual BookExpo America, the largest publishing event in North America.